Only one thing is certain from the latest chapter in the Tsilhqot’in nation’s decades-old B.C. court struggle: the legal battle will continue. On June 27, the B.C. Court of Appeal released its decision in the nation’s case, upholding long-established Indigenous hunting and trapping rights, but dismissing the tribe’s fight for title over the full breadth of its sizeable traditional territories in the province’s interior. “I see broad territorial claims to title as antithetical to the goal of reconciliation, which demands that, so far as possible, the traditional rights of First Nations be fully respected without placing unnecessary limitations on the sovereignty of the Crown or on the aspirations of all Canadians, Aboriginal and non-Aboriginal,” Justice Harvey Groberman wrote in the ruling, which determined that the province had “infringed” on Tsilhqot’in title when it failed to adequately consult the nation about logging carried out in the region. He cautioned against broader claims to jurisdiction over traditional territories. “We will take this all the way to the Supreme Court of Canada,” said Chief Marilyn Baptiste of the Xeni Gwet’in, one of six member nations of the Tsilhqot’in National Government, at a press conference following the court’s decision. “This is a fundamental question for all First Nations. The press conference, hosted at the Union of BC Indian Chiefs offices in downtown Vancouver, also heard from Xeni Gwet’in Councillor Roger William, the lead plaintiff in the landmark case–one which is likely to impact Indigenous rights across Canada, particularly for other nations that never signed treaties with the Crown. Prominent Indigenous leaders across the province agreed, and weighed in on the ramifications of the court ruling, and the continued legal battle ahead. 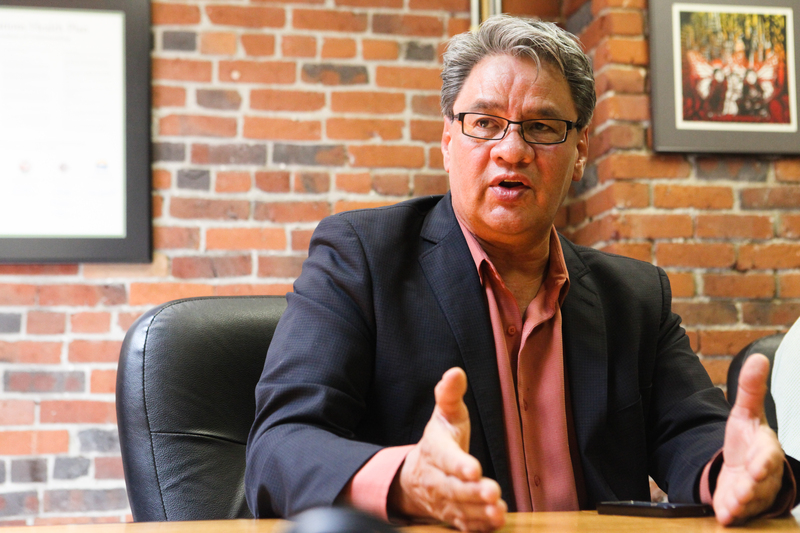 “It is a real struggle about the right to land,” said Grand Chief Ed John, head of the First Nations Summit. “The greatest root of poverty … has been the disconnection of (our) people from the land, so they’re not able to make economic benefit from their land, while others are. The legal battle began in 1989 when the Xeni Gwet’in began a blockade against logging on their traditional territories. Litigation followed in 2002, leading to a massive ruling five years later, which was generally understood to have reinforced Aboriginal title and rights, but set out little by way of concrete recommendations. The province’s Minister of Aboriginal Relations and Reconciliation, Mary Polak, said her ministry remains committed to pursuing negotiation–not litigation–to iron out the Crown-First Nations relationship. Some declared the victory bittersweet and incomplete, criticizing the court for restricting Indigenous title to “postage-stamp” sized territories, rather than the full extent of their historically used lands. 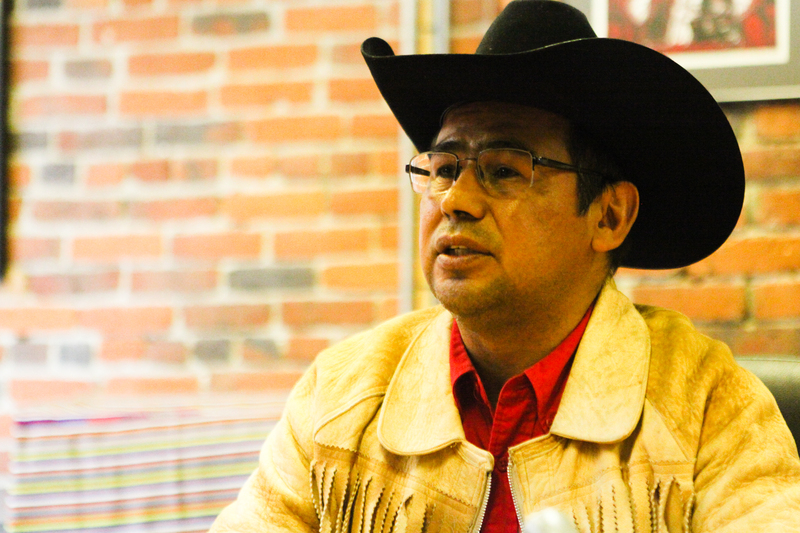 “I’m still a little baffled,” said Chief Joe Alphonse, head of the Tsilhqot’in National Government. “We’re not just going to dry up and go away.